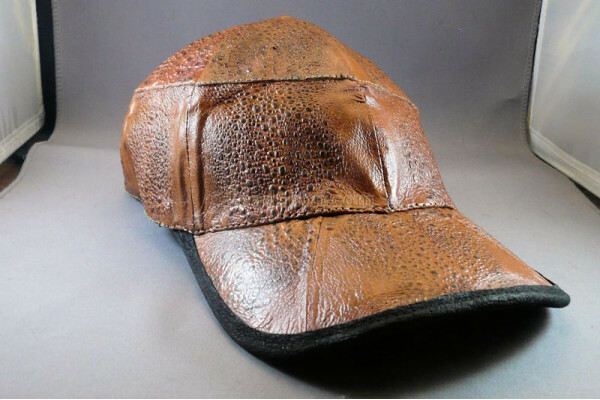 Adjustable band Baseball Cap made of Australian Cane Toad skins. Just the gift for someone who collects baseball caps made of different materials. 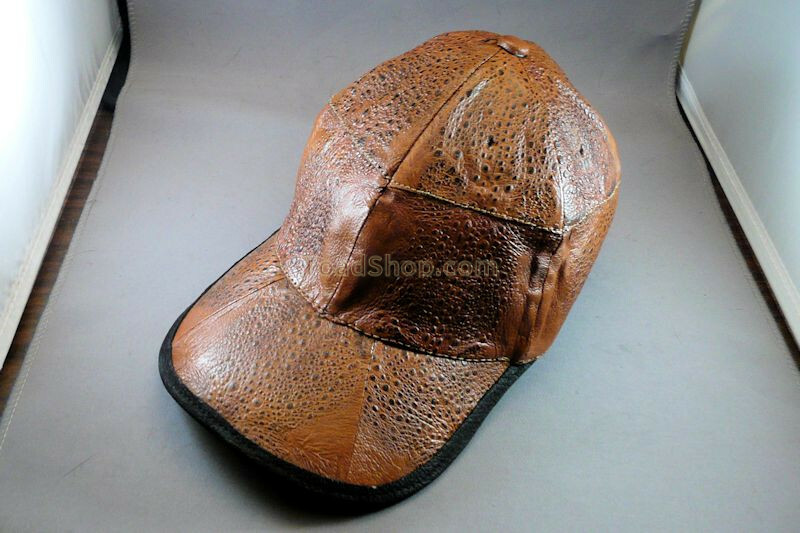 This cap is made of genuine, durable, beautiful Australian Cane Toad leather. There is no head of the toad on the cap so no one will know except the owner that it is made out of toad skins. The adjustable band in the back is adjustable by the velcro strips. There are holes in the cap to allow air in and out just like a regular baseball cap. 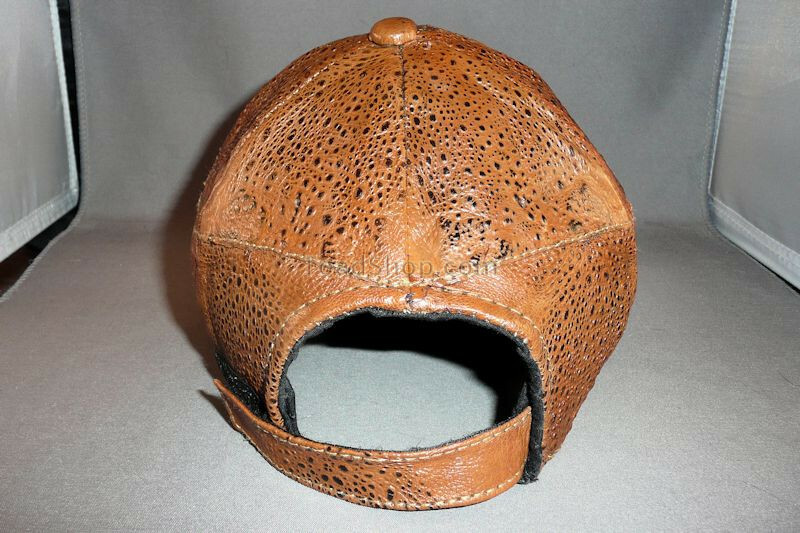 The inside of the hat is lined with a leather as well but not toad skins. A well made cap for the person who has everything.